If your roof has been damaged by hail or other severe weather, or it’s just seen a few years of wear and tear and needs some repairs, you want to have confidence that your roofing contractor is going to provide the highest quality repairs and excellent customer service, all at a fair price. The only way to really be sure that you know who you’ll be working with is to hire a locally-owned and operated company that has a long line of happy customers behind them. 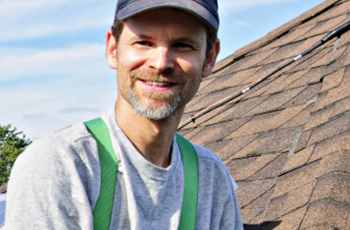 Iron Shield Roofing is Edmonton’s go-to roofer for just that reason. We’re local, we stand by our work, our prices are fair, and you know that if you ever need us, we’re still going to be here. We’re not going to pack up shop and disappear on you. If you need your roof repaired, please give us a call. We’re here to help.